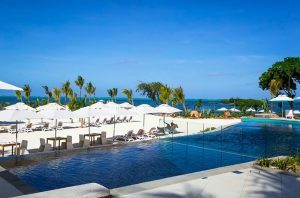 Located in Haute Rive, on the north-eastern coast of Mauritius and 25 kilometres from the capital city of Port Louis, Centara Grand Azuri Resort & Spa Mauritius enjoys a superb location on the sands of a beautiful beach with a sparkling lagoon. Set right at the heart of the Azuri oceanfront complex, a site that spans across 420 acres with myriads of facilities and which oozes a tranquil ambience, the resort is just over one hour from the international airport by road. 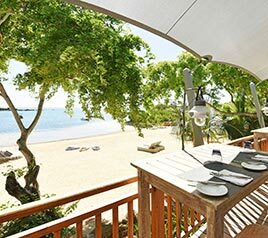 Radisson Blu Azuri Resort & Spa delivers guests a distinctive getaway experience.The island has the world’s 3rd largest coral reef and is renowned for its white sand beaches and clear lagoons. 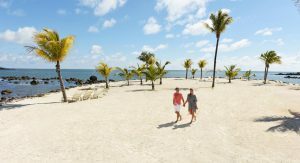 You can choose from 100 Premium and Superior Rooms at this first-class Mauritius accommodation, and enjoy amenities that include Free high-speed, wireless Internet and views of the gardens or ocean. 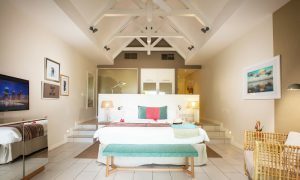 The light neutral palette of the rooms complement the resort’s stunning surroundings, and the plush furnishings guarantee a relaxing stay. 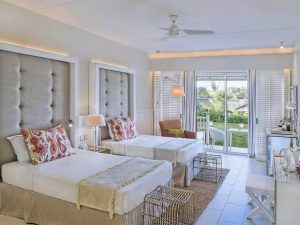 All guestrooms feature floor-to-ceiling glass windows with large sliding doors to the furnished balcony or terrace overlooking the gardens or the ocean. 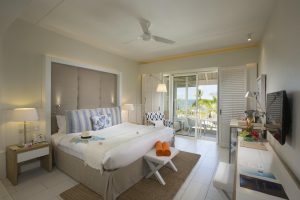 Interconnecting rooms and family rooms that feature 2 double beds are available upon request. 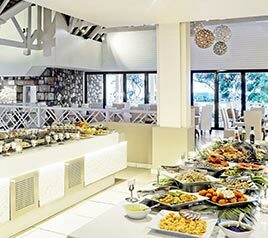 Ocean One Beach Club & Restaurant is ideally located on the beach of our hotel. 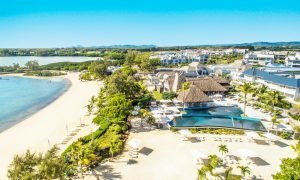 This exclusive beachfront restaurant offers an array of dining experiences, such as Sunday brunch, themed evenings, Friday sundowners and much more..
SPA The Spa by Decleor combines the elegant blend of tranquility with the natural surroundings that the resort has to offer. The Spa offers a range of beauty treatments, massages and facials.Your experience at The Spa starts with our foot ritual and a soothing detox refreshment.